Terra Nova Books, 9781938288890, 142pp. Mogi Franklin and his sister Jennifer are delighted to be attending a high school science conference in New Mexico amidst a hundred thousand acres of meadows, mountains, rivers, and volcanoes far older than recorded time. But their focus quickly changes when they learn of the disappearance fifty years ago of a plane with two hundred pounds of plutonium-and of the terrorist nations vying today to find it in those same mountains. Soon, they are engulfed in a complex web of Russian spies, government lies and deceit, an old box full of clues, and the real possibility that the shipment bound decades ago for nearby Los Alamos national laboratory is indeed hidden tantalizingly close to their conference center. Puzzling over the mystery, Mogi sets out with some friends on a backpacking trip to a remote lake. 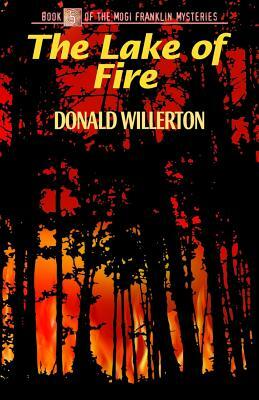 Too late they realize their mistake, as a minor forest fire suddenly explodes into the most dangerous blaze in the state's history, trapping Mogi and the others right in its path. They're fighting for their lives in this fifth book of the Mogi Franklin Mysteries, and if he's going to come up with a way out, he'd better do it fast.